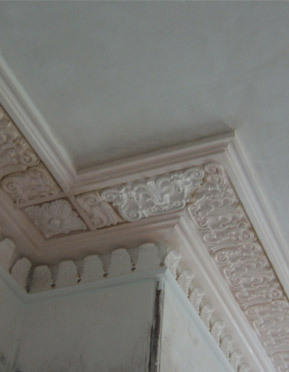 The use of decorative cornice and mouldings is evident in many houses and stately homes and repairs may become necessary for various reasons. A ceiling may collapse following water damage or insect infestation in the lathes or joists above or cornices may need to be replicated following alterations or conversions. 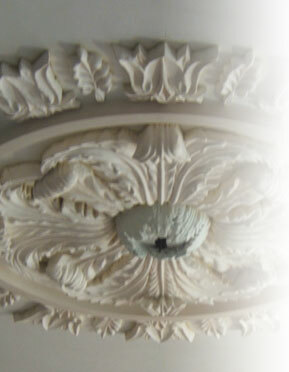 These decorative features can be repaired or replaced either by making a new running mould and running on a bench or by running the mouldings or cornice in situ. 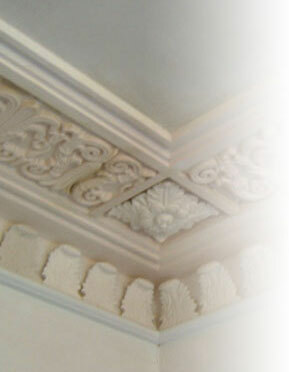 These principles can apply to either interior or exterior mouldings or cornice.